Giant Little Ones is a 2019 Drama movie directed by . It stars Maria Bello, Kyle MacLachlan, Taylor Hickson, among others. 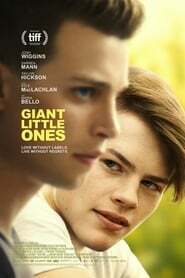 Giant Little Ones is currently rated 8.0 stars on the ReelBugs scale. "Love without labels. Live without regrets."